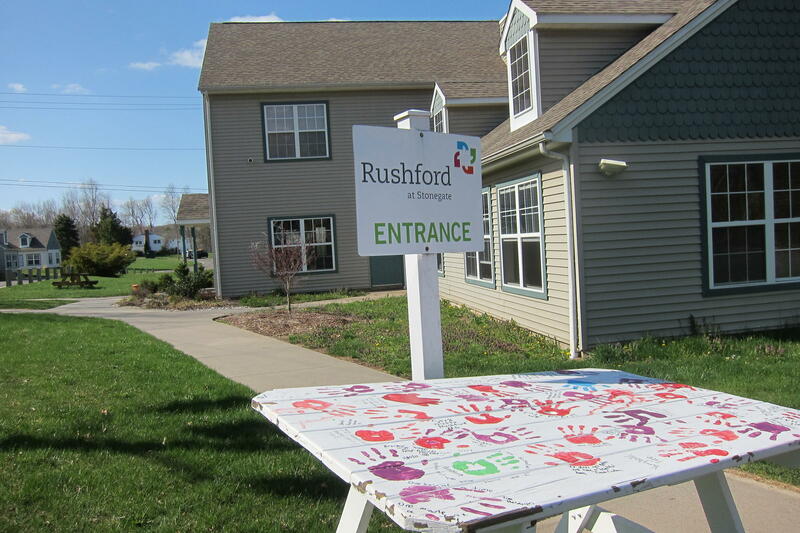 Rushford has two residential treatment programs for adolescent boys in Durham: Rushford at Stonegate and Rushford Academy. Many families have no choice but to send their child out-of-state for treatment. On Wednesday, WNPR introduced listeners to the Harmons. Their son nearly died in 2011 from an overdose, prompting them to look for a residential treatment program. After Tim Harmon’s almost fatal overdose, his parents Justin and Mary Harmon quickly learned the severity of his addiction. He’d been smoking pot since ninth grade multiple times a day, and had moved on to other drugs, including synthetic marijuana and prescription painkillers. Tim's mother, Mary Harmon, recalled that it wasn’t easy finding a program for her youngest son. "You know," she said, "you have to find the right match for you, your child, and for your family. That was challenging, and also on a financial level. People aren’t in-network, and for the most part, we went out-of-network to find these people, and pay for them." Many families have no choice but to send their child out-of-state for treatment, but the Harmons found a rehab for adolescents close to their Guilford home. In 2011, Rushford, an affiliate of Hartford Healthcare’s behavioral health network, opened a treatment center in Durham. Rushford at Stonegate is a 28-day program. Dr. Christy Jackson, clinical director of child and adolescent services at Rushford, said, "We have a second residential on campus, Rushford Academy, that is DCF-funded. It's a six month program." 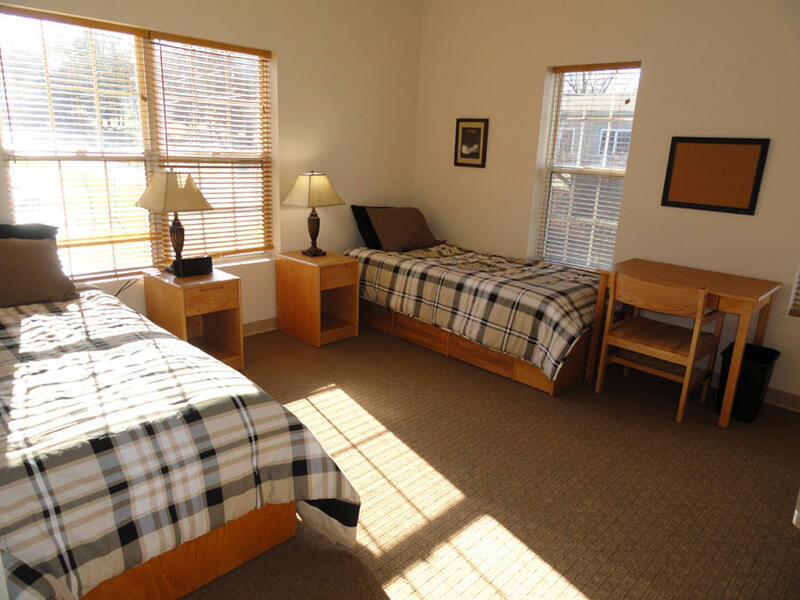 A semi-private bedroom at the Rushford at Stonegate facility. Rushford Academy opened a decade ago, and is just for boys involved in the juvenile justice system. Jackson gave me a tour of both programs, which are in separate buildings on a sprawling campus. "We’re surrounded by woods and farmland," she said. "I’m not sure our boys are as excited as we are, because we’re out in the country, but still close enough to get what we need." The programs require the teens to keep up with their school work while going through substance abuse treatment. Their days are jam-packed with class time, tutoring, one-on-one counseling, group therapy, and activities that include guest speakers and recreation. 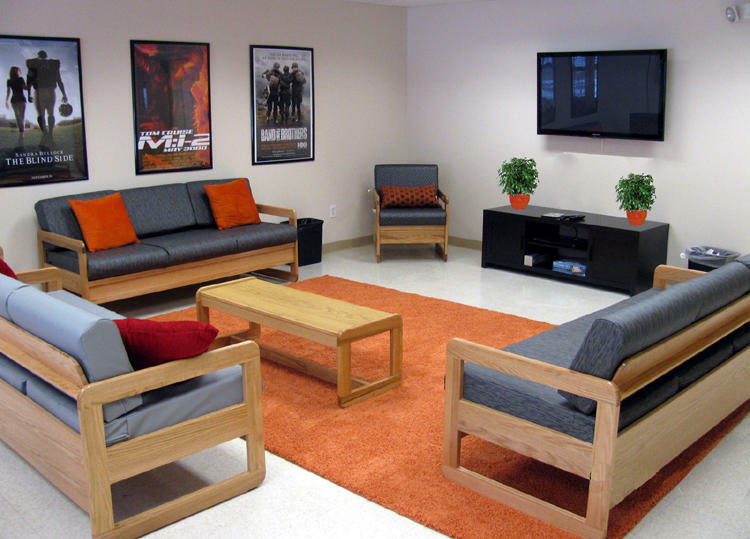 A recreation room at the Rushford at Stonegate facility. Jackson stressed that many of the adolescents getting treatment aren’t just there to overcome their addictions. "Very few kids are coming to us with no other issues other than substance use," she said. "If that seems like the only issue, then we wonder what we are missing. It's not a usual person or teenager that gets involved in drugs and alcohol without something else going on." Clinicians versed in addiction have said these individuals have depression or anxiety, or other mental health issues that cause them to use substances to cope. One major gap at Rushford’s Durham campus is the fact that neither residential program accepts girls. Parents with an adolescent daughter could send her to Silver Hill Hospital in New Canaan, but its residential -- or Transitional Living -- program is not in-network, meaning clients must self-pay. Jackson said Rushford will refer families. "A lot of our girls go out-of-state to a facility called Arms Acres, which is in New York," she said. "Other than that, there really are not a lot of places." The lack of options frustrates clinicians like Joy Pendola, who manages intensive outpatient and partial hospital programs for adolescents and adults at Charlotte Hungerford Hospital in Torrington. She said there are too few outpatient or inpatient providers in the state that treat teens with substance abuse issues. "I mean, if you totaled that up," Pendola said, "you’d have under 100 beds between residential and detox beds for adolescents." Pendola has been doing this work for 12 years. If there’s nowhere to send a young person who needs residential rehab, her clinic often tries to get them to stay with intensive outpatient treatment for as long as they can to work through their addiction issues. Even when a family finds a residential setting with a bed available, there are other barriers keeping them from getting their son or daughter the care they need. Next, we look at the challenges of getting insurance plans to pay for adolescent substance abuse treatment. There's widespread attention on an increase in heroin overdoses nationwide. On Monday, U.S Attorney General Eric Holder called it an "urgent public health crisis" and suggested law enforcement carry Narcan or naloxone, a drug that can reverse opiate overdoses.